For Immediate Release: ROUND 1 @ GLEN HELEN WEEKEND SCHEDULE! STI QuadX Series Kicks off Sunday, January 25th! The ever-popular QuadX Series has announced a new Series Sponsor with STI Tire & Wheel taking the title role! Yamaha continues its long-standing involvement with this series, now becoming the Presenting Sponsor. 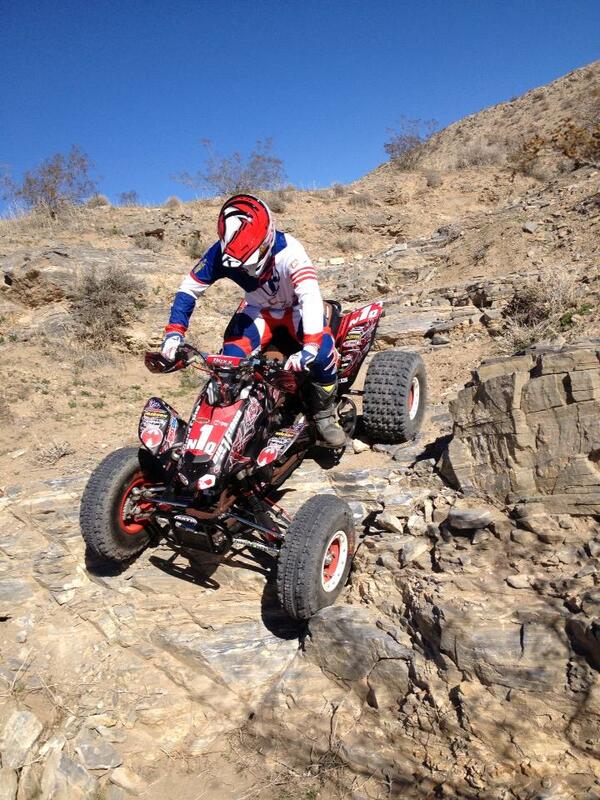 UTV and Quads are featured in this five-race series that runs from January through July. All five events are scheduled for Glen Helen Raceway, and the dedicated Glen Helen crew promises a great track for all five rounds. There are classes for all age groups and all skill levels–check out the STI QuadX Series (presented by Yamaha) at www.quadxseries.com or www.glenhelen.com! Read moreSTI QuadX Series Kicks off Sunday, January 25th! The two biggest weekends of August are coming quick! Saturday August 9th Downtown Temecula will host the biggest gathering of off road enthusists as Off Road Nights takes over Old Town! The following weekend Lake Elsinore Motorsports Park hosts the 2nd Annual IMG Motorsports Day to Play on Saturday August 16th and Sunday August 17th Round 7 of the Dirt Series! Back-to-back weekends of off road fun and racing! The Dirt Series will be on hand at the Off Road Nights event with our own Dirt Series Zone! We are rallying together all interested sponsors/vendors to be a part of this huge event and build our zone! The Dirt Series and our zone plans to take over the event so we need a huge presence. I have attached a flyer of the Off Roads Nights event, which is sponsored by Budweiser, as well as the direct link to the website http://offroadnights.com/ for more information. Last year this event drew in over 10,000+ off road enthusists and we anticapate a bigger crowd this year! ROUND 4 OF THE DIRT SERIES THIS WEEKEND @ STARWEST PARK! AVI FLYERS RELEASED! In 6 days, we will break down the gates to Starwest Park! This will be new grounds for the ATV, UTV and Trophy Kart racers as this is primarily a dirt bike facility. But we plan to change that…for at least one weekend! Saturday will feature Dirt Series practice all day from 9-4pm so everyone should get some good seat time in! Everyone planning to camp its $25. We are very excited to have an opportunity to showcase our series at Starwest Park and we are looking forward to unleashing all the racers on this track. As always, registration is open for round 4 and John Burr Cycles highlights our online registration with a $10 Gift Card, Click Here to register, so be sure to register by 9pm Thursday to get your JBC Gift card!